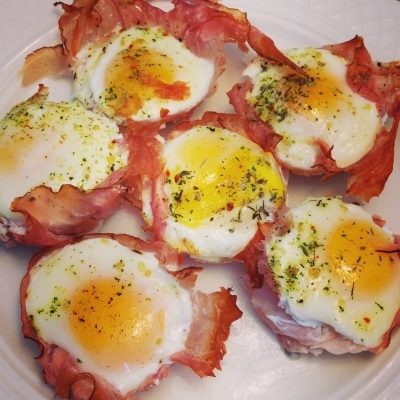 A twist of your standard ham and eggs. Easy to make for breakfast for you or a group! Oil down a muffin tray. Lay a ham in each cup then crack an egg in each cup. Season your cups to your liking. Take out when eggs are cooked.